This entry was posted on Wednesday, January 4th, 2012 at 2:01 pm	and is filed under Organization. You can follow any responses to this entry through the RSS 2.0 feed. You can skip to the end and leave a response. Pinging is currently not allowed. Fun website… also a homeschooler so looking forward to reading more of your blog! Cheers! Glad you’re enjoying my blog! I have found that setting too many goals only depresses you. 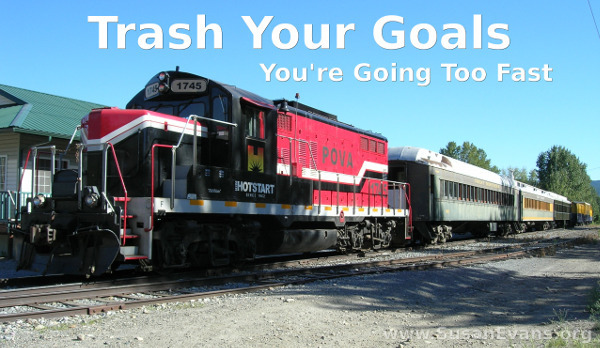 As a homeschooling mother, my goals come second to my kids and husband. When they are happy, then it is easier form me to do things that I want to do. Yes, we should ask God what our goals should be. Too many goals pull you in too many directions. This is such a great point! “Please consult God when making goals. Why waste a lot of time on something that wasn’t God’s goal?” I have a couple big goals for 2018 but I believe they are things God has/is leading me towards. And I will continue to pray to guidance to ensure I’m not straying from His plan. So many people don’t consult God when making goals. They just invent them, and their year is wasted pursuing their goal that was never God’s. What a thought-provoking post! I don’t set goals because in the past I always gave up. This year, I’m trying intentions, I intend to spend more time with God, set some visions as to where I want to be. I am basking in the presence of God more this year. For me, more than goals I set a life attitude or character growth areas to focus on. Sure I have things I want to accomplish but the inner character matters more to me. Learning to wait on the Lord, or obeying his voice, or being kinder. If I am too busy I miss all of the above. However, I cannot say I have mastered this…it is a work in progress. Inner character goals are always good if we ask God to do the work in us.